On the evening of 15th December four battle cruisers, ‘SMS Seydlitz’, ‘Moltke’, ‘Von der Tann’ and ‘Derrflinger’; one heavy cruiser, ‘SMS Blücher’, four light cruisers and two flotillas of destroyers left their base, heading out into the North Sea. The intention was to bombard Hartlepool and Scarborough. At dawn, six miles east of Hartlepool, shots were exchanged between the German fleet and the destroyers of the Local Defence Patrol who were out gunned and left to raise the alarm. No-one in the town heard anything. The ‘Seydiltz’, ‘Moltke’ and ‘Blücher’ continued to steam towards Hartlepool and the rest headed for Scarborough. At 8.10am the first shells from the German cruisers were fired. They were aiming at the shore batteries and the Lighthouse. The shells cut all the lines of communications between the batteries throwing them into confusion. The German cruisers moved within four thousand yards of Hartlepool and began firing shells into the gun emplacements and the docks. Shells were being fired at such short range that their fuses did not have time to set, so many failed to explode on impact, or skittered away into the town because they were running horizontally rather than falling downwards. The Hartlepool batteries were able to return fire with three BL 6 inch Mk VII naval guns but frustratingly the shells simply bounced off the armoured sides of the cruisers. The gunners instead started to aim for the masts and rigging, their accuracy was sufficient to force SMS Blücher to move behind the lighthouse to avoid further damage. Panic spread and many residents thought the Germans had landed and were making their way up the beach. Many fled to higher ground by road or flocked to the train station in a bid to escape. 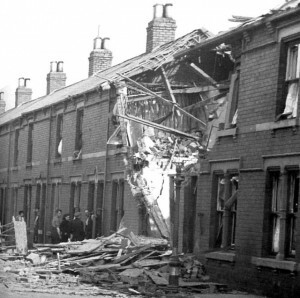 The bombardment lasted three quarters of an hour, during that time 1,150 shells were poured onto Hartlepool resulting in damage to the steelworks, gasworks, railways, seven churches and 300 houses. 438 people were injured and 93 people were killed including Theo Jones, the first soldier to die on British soil in the Great War. 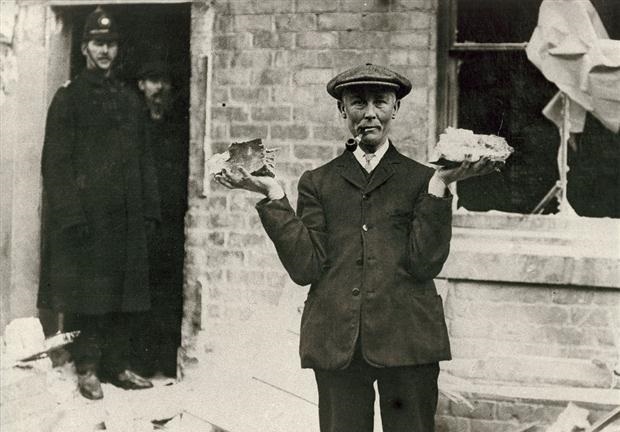 When it was clear the attack was over people began to filter back to the shoreline, some helping to dig out the injured from collapsed buildings, others helping themselves to shell fragments to keep as souvenirs. 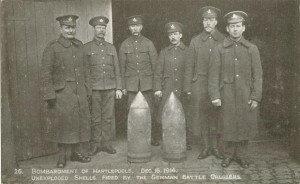 Although Hartlepool bore the brunt of the German attack Scarborough and Whitby were also bombarded. The attack became part of a British propaganda campaign, ‘Remember Scarborough‘, used on army recruitment posters. The reason the propaganda focused on Scarborough and Whitby was because they were undefended. Hartlepool was fortified and able to return fire where as Scarborough and Whitby were not. The effect of the bombardment on Hartlepool was extraordinary and demonstrated the resilience of the town. 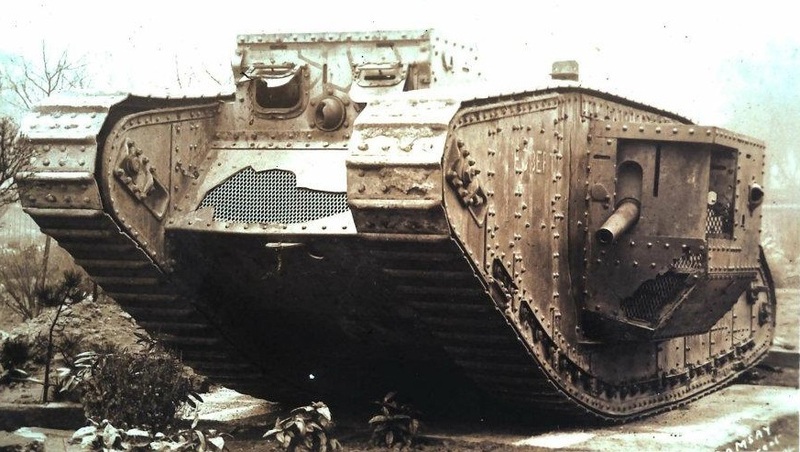 In 1918 West Hartlepool won the national Tank Bank competition by raising more money per capita for the war effort than anywhere else in the UK! 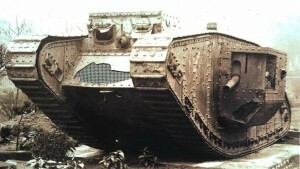 They won a tank called Egbert which stood on Stranton Garth in West Hartlepool until 1937. 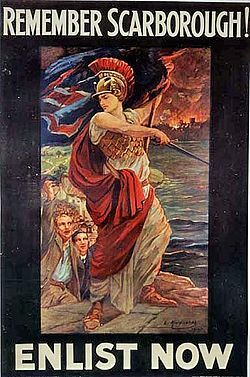 This entry was posted in First World War and tagged Archduke Franz Ferdinand, Armistice, Egbert, First World War, Hartlepool, Hartlepool Bombardment, Hartlepools, naval guns, Old Hartlepool, Scarborough, SMS Blücher, SMS Derrflinger, SMS Moltke, SMS Seydlitz, SMS Von Der Tann, Tank Bank, The Bombardment of The Hartlepools, The Great War, The Somme, The World War, Theo Jones, Triple Entente, West Hartlepool, Whitby, World War One, Ypres by SliceOfHistory. Bookmark the permalink.